Live In Concert 2006 is a record of the Streisand's historic 2006 concert tour, sequenced according to the concert set list with individual tracks culled from performances recorded at New York's Madison Square Garden (October 9 and 11); Washington DC's Verizon Center (October 13); and Fort Lauderdale, Florida's Bank Atlantic Center (October 28 and 30). 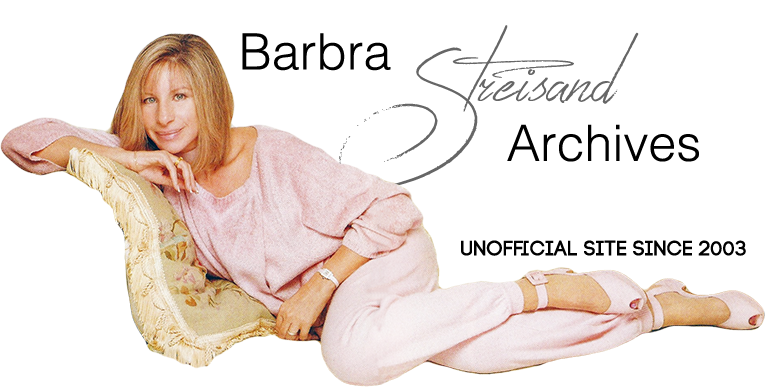 On the tour, Streisand reinterpreted some of her best-loved standards while revisiting some rarely performed musical treasures from her celebrated back-catalog. Live In Concert 2006 included songs Barbra had rarely, if ever, performed live including "Unusual Way" (from the Broadway musical, Nine). Fifteen of the album's songs have never appeared previously on one of the artist's live albums with four of those — "Carefully Taught," "Unusual Way," "A Cockeyed Optimist," and "My Shining Hour" — making their appearance on Live In Concert 2006 for the very first time on any Barbra Streisand recording. beginnings. If not now, when? shine a spotlight on the very things she cared most about. Again, if not now, when? At The Fair?” A tiny glint would sneak from the corner of Marty's eyes, as he'd time-travel back to those early gold-tinged New York days. At last it was show time in Philadelphia, the ﬁrst stop on the tour. When the house lights dimmed and the thrilling original Broadway overture to “Funny Girl” began to unfurl under Bill Ross’ baton, the audience instantly knew they were in for a special kind of evening. Many believed they'd never see her perform like this again, but there she stood, and the applause was deafening. On that first night, and every night after, they rewarded Barbra with countless standing ovations and waves of pure adoration. The newspaper and TV critics all noted her relaxed, even playful demeanor and the suppleness of her eternally classic voice. The shows were also a success in another important way. Quite unexpectedly, Barbra began to feel a new appreciation for her audience. For years they'd unabashedly showered her with love, but now it was affecting her in a rather profound way. As a result, each night she returned their love with her own. This recording is meant to capture that magical relationship. Marilyn was L.A.'s leading therapist for AIDs patients, all the while fighting her own battle with multiple sclerosis for more than 30 years. In the 1980s and 1990s she and Peter Matz performed their act in living rooms and concert halls to raise money for AIDs. Sony/BMG created different versions of Live in Concert 2006 , based on “exclusive deals” with three U.S. stores. And Borders Books offered a free 4-song DVD which included videos of "Happy Days" (from ONE VOICE) , "Alfie" (from TIMELESS) , "Can't Help Lovin' That Man" (from THE CONCERT) , and "What Are You Doing The Rest of Your Life?" (from the forthcoming DVD of Barbra's 2006 concert). Collectors will want to check ebay or other 'used CD' sites in order to find these exclusive releases that are no longer in print. Online videos from the DVD special (filmed in Florida in 2006) were used to publicize the album and were streamed by Amazon, Borders, and MSN.